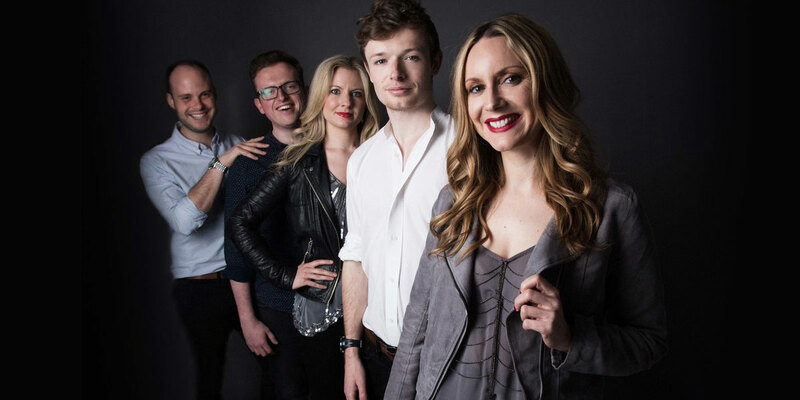 The international award-winning British vocal ensemble Apollo5 delights audiences with versatile and engaging performances on the concert platform, singing repertoire ranging from renaissance, classical and contemporary choral music to folk, jazz and pop. Frequently performing in their home city of London they have sung in venues including the Royal Albert Hall, Kings Place (London A Cappella Festival), the Barbican, the Houses of Parliament and Wembley Arena. They regularly give concerts at their home in the heart of the City of London, the Gresham Centre. As well as concerts across the UK Apollo5 has enjoyed giving performances internationally. Last season the five outstanding vocalists undertook a month-long debut tour of the USA and in 2016 they made their south Asian debut, taking part in the Taipei International Choral Festival. Over the last two years they have given performances in Italy, Germany, Holland and France. This season includes international performances in France (Via Aeterna Music Festival), Poland (for La Folle Journée) and a collaboration with the Academy of Ancient Music. Apollo5 is part of the VCM Foundation, and leads its innovative education programme aiming to inspire creativity through music. Working alongside vocal ensemble VOCES8 and Paul Smith the programme reaches 40,000 young people annually in the UK, Germany, France, Sweden, the USA and Asia. The Foundation has its home at the Gresham Centre, at St Anne and St Agnes Church. In partnership with the Diocese of London, VCM has established a hub for excellence in education, outreach and the performance of vocal music. Last season saw the first Gresham Centre Festival in which the group performed with VOCES8 and the VOCES8 Scholars. Apollo5 leads regular workshops, masterclasses, and a children’s concert series at the Gresham Centre, as well as longer term projects and residency programmes. The group oversees an extensive outreach project called the Open Mind Programme in Hackney, Tower Hamlets and Newham. Now in its third year, the Open Mind Programme has received support from Arts Council England, The Merchant Taylors’ Company and the Worshipful Company of Plaisterers. The education programme is also supported by Holman Fenwick Willan and the Ernest Cook Trust. Apollo5 has released albums with VCM Records, including “The Spirit Like a Dove”, music by Josquin des Prez performed with the Ingenium Ensemble which was Number 4 in the UK Classical Chart, and “With a Song in my Heart”, an album of folk, jazz and pop. Also released is “Journey” on the Edition Peters Sounds label featuring the group with former King’s Singer Paul Phoenix. A new album, “O Radiant Dawn”, will be released during the 2018/19 season. Apollo5 will start to publish its musical arrangements with Edition Peters this year.